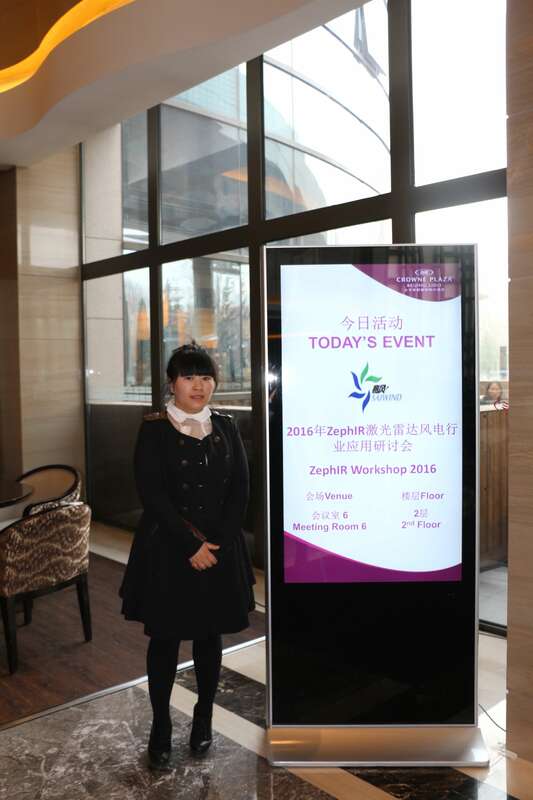 A gathering of many leading Chinese wind project developers, consultants and stakeholders met on March 2016 for the annual ZephIR Wind Lidar Workshop Beijing, China to discuss ZephIR’s wind lidar capabilities and the use of Lidar in the wind industry in general. The discussion was lead by ZephIR’s MD Ian Locker, ZephIR Senior Scientist Chris Slinger and Michael Hu, CEO of SAI Wind – ZephIR’s Chinese distribution partner, providing a comprehensive presentation on state-of-the-art lidar technology, offshore wind measurements, complex terrain, site calibration, power curve measurements and turbine mounted lidar applications. Guest speakers included Liang Zhang (Technical Manager for DNV GL China) and Lishui Cui Associate (Researcher at the National Institute of Metrology). Liang Zhang provided a talk on lidar for turbine control while Lishui Cui presented on lidar calibration and plans to establish the Chinese National Remote Sensing test site. The workshop, attended by more than 50 parties, represented government agencies, power generation groups, turbine manufacturers, consultancies and research institutes such as China Three Gorges Corporation, Goldwind, CR Power, Nanjing High Mechanical and Electric Automatic Control equipment Company, CHD, CCS, CNR Wind Turbine Co, Sany, Hydrochina, Beijing Institute of Technology China GENER certification and Beijing Juhe Electrical Engineering Design Limited. As wind development continues to accelerate in China, the adoption of wind lidar has increased exponentially over the last few years and is now a very well utilized measurement tool. The workshop highlighted the important role that lidar shall continue to play over the coming years as China continues to build on its’ already impressive installed capacity of wind energy. Of particular note was the ambitious offshore targets set and the pivotal role that lidar shall play in reducing project uncertainty and development costs. ZephIR provides remote wind speed measurements and characteristics from ground level, both onshore and offshore, in addition to turbine mounted applications through the use of continuous wave lidar technology. Measurements are provided at ranges from 10m to 200+m without the need for traditional tall met masts. © 2016 Zephir Ltd. All rights reserved. 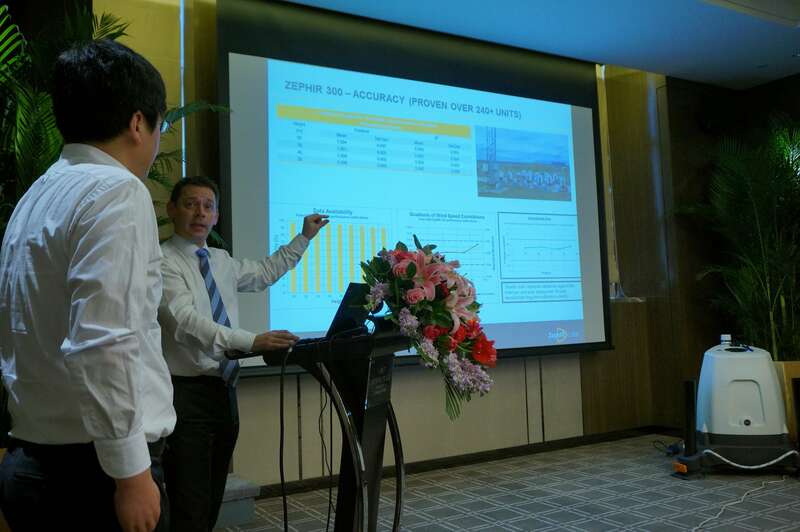 ZephIR, Zephir, ZephIR 300, ZephIR DM, ZephIR Power and Waltz are trademarks of ZephIR Lidar. Other company and product names may be trademarks of their respective owners.